Lush and lavish, romantic and whimsical, this wedding décor inspiration is fit for a fairy tale. 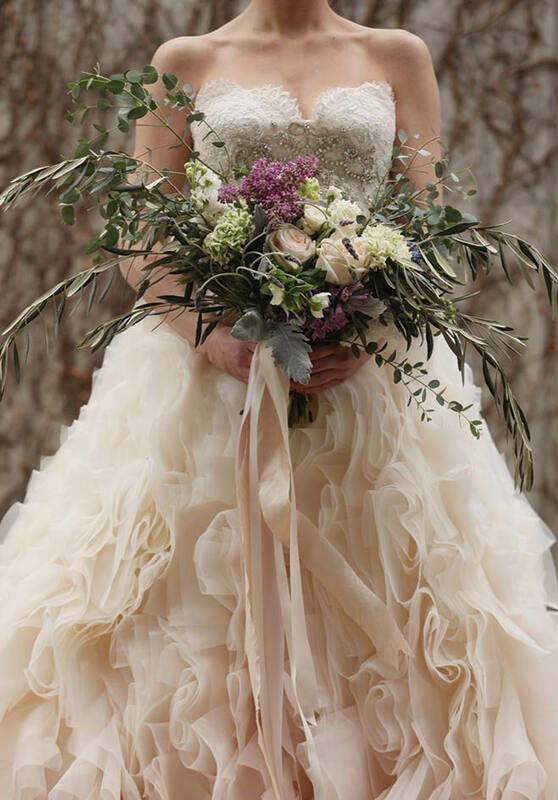 (above) Ruffles and lace and crystals—all is opulent with this stylish bouquet, bursting with eucalyptus leaves, and a peach-toned wedding gown worthy of royalty. (above) Look no further than the great outdoors for an abundance of wedding-day inspiration. From low and leafy centerpieces to larger-than-life greenery walls—like these hedges, a Twin Cities landmark, at the Minneapolis Sculpture Garden’s Cowles Conservatory—call up Mother Nature to bring your vision to life. 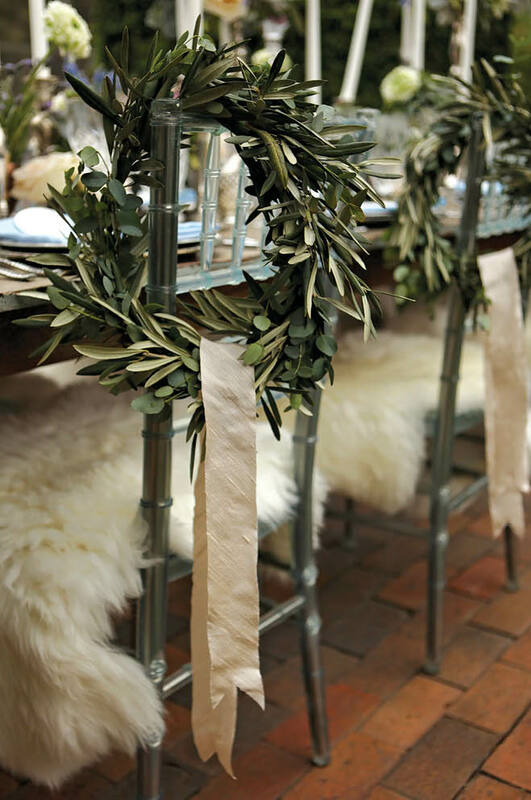 (above) Sit in style, draping regal wreaths of eucalyptus and olive branches on your chairs; all your guests will know where to find the new Mr. and Mrs. come dinnertime. 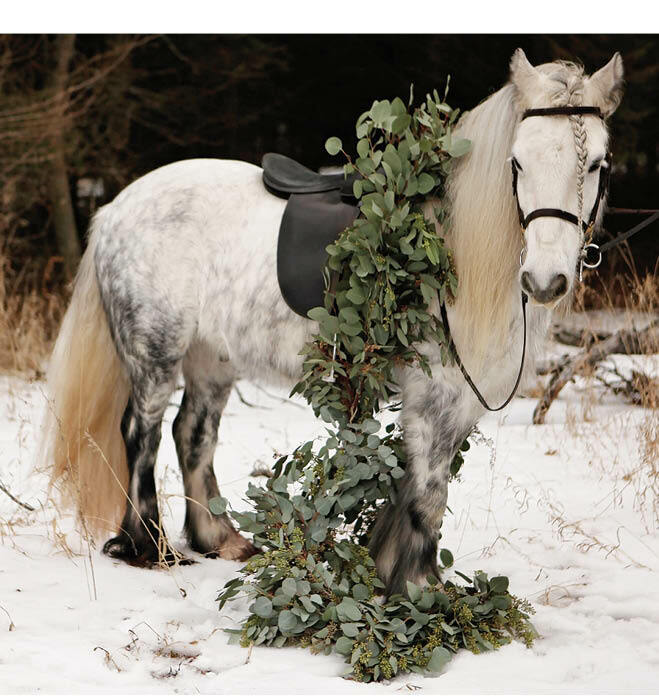 Take the chill out of a wintertime wedding with plush fur throws, which can also serve as cozy seat covers. (above) Whether it’s a horse-drawn carriage, limousine or vintage Rolls-Royce (among many other options), arranging transportation on your wedding day ensures you get from Point A to Point B at ease and on time. Just sit back and enjoy the ride, hand-in-hand with your new spouse. 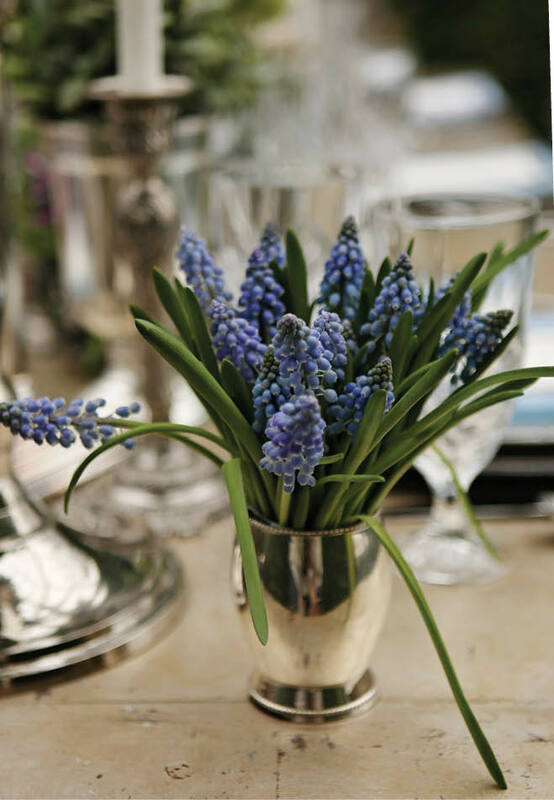 (above0 Arrange miniature vases filled with textural, vibrant blooms on each dinner table. When the weather outside is frightful, there’s nothing more welcome than a burst of color against our snow-covered landscape. (above) Layer after layer of luscious buttercream, nestled under smooth layers of fondant, will satisfy every after-dinner craving. 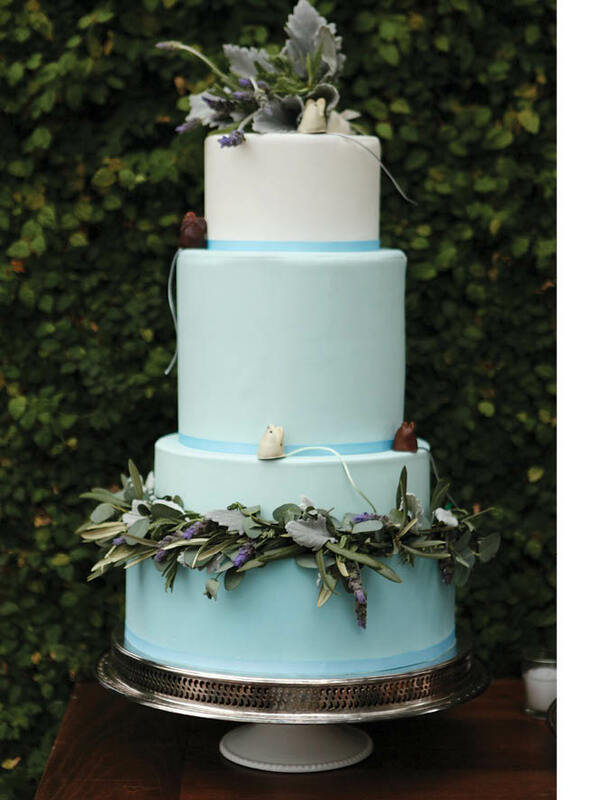 Guests will be overjoyed with a slice of this sleek, subtly playful cake: Look closely and you’ll see chocolate mice scampering up the tiers. 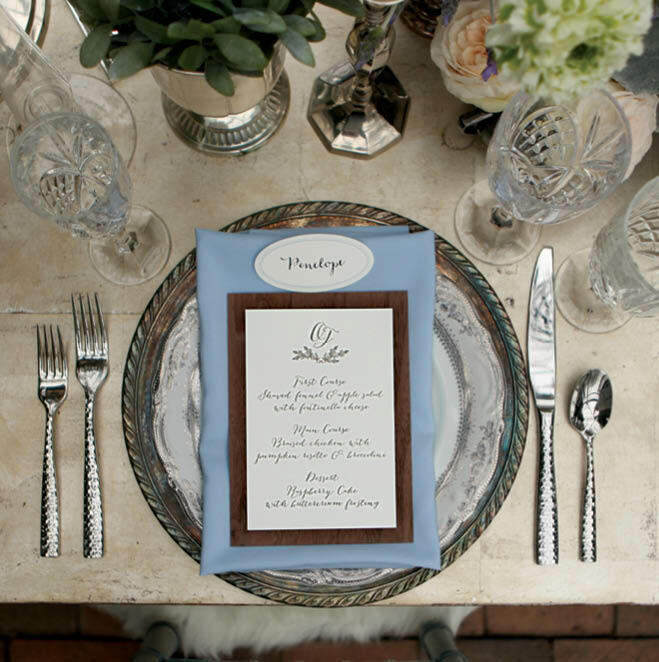 (above) Keep Emily Post-style etiquette alive with knives on the right, forks on the left and a stately menu placed atop ornate china in the center. 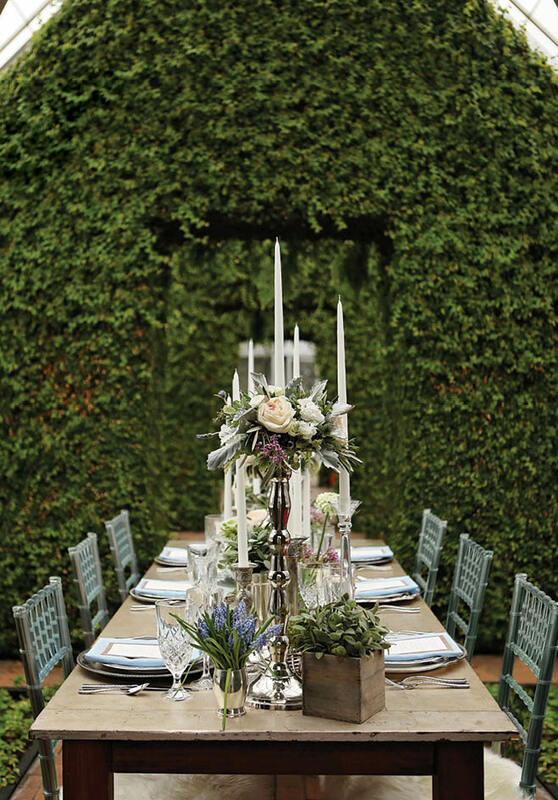 A setting like this will whet your guests’ appetite and inspire their next dinner party. (above) There’s nothing flash-in-the-pan here. 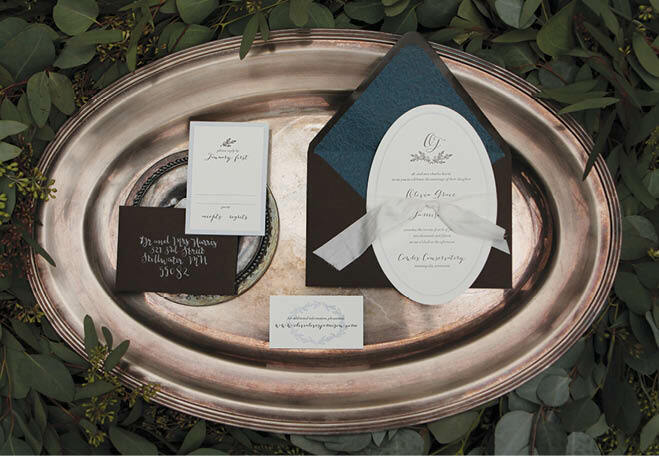 Classic shapes and typefaces, hand-lettered calligraphy and luxe ribbon make for an invitation suite, this one designed by Spark Letterpress, that looks fresh anniversary after anniversary. Don't get us wrong, we love pastels as much as the next gal, but there's something to be said for vivid pops of color. After watching Ashley’s season of The Bachelor and getting hooked, local photographers landed the engagement shoot of a lifetime. Sarah and Scott's style was so stunning, and made them pop in the heavy crowds on the opening day of the Great Minnesota Get Together.